There are 2 cat videos tagged with golden-retriever. 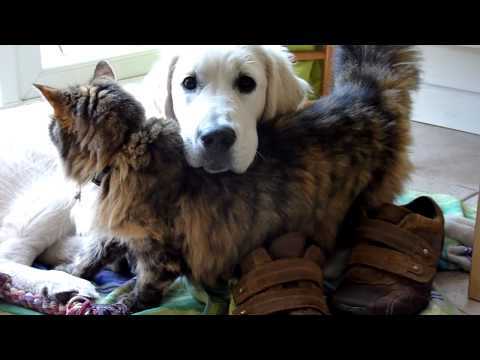 Arlo is a big Golden Retriever puppy with a big cat friend named Rosie. Rosie loooooves her friend Arlo but he doesn't seem too sure about the attention from the fluffy cat.